Toronto is the only team in the MLB not in the USA. With that comes foreign currency. For the years of 1990 – 2007, the Canadian Dollar was hovering around the 70 cents mark for the duration (62 cents at its worst). The last economic crash in the USA – had the dollar at par for the better part of the last 7 years, including once reaching $1.10 for every George Washington bill in America in late 2008. The average for the exchange rate had been in the mid 90 cents range for the most part of 2014. 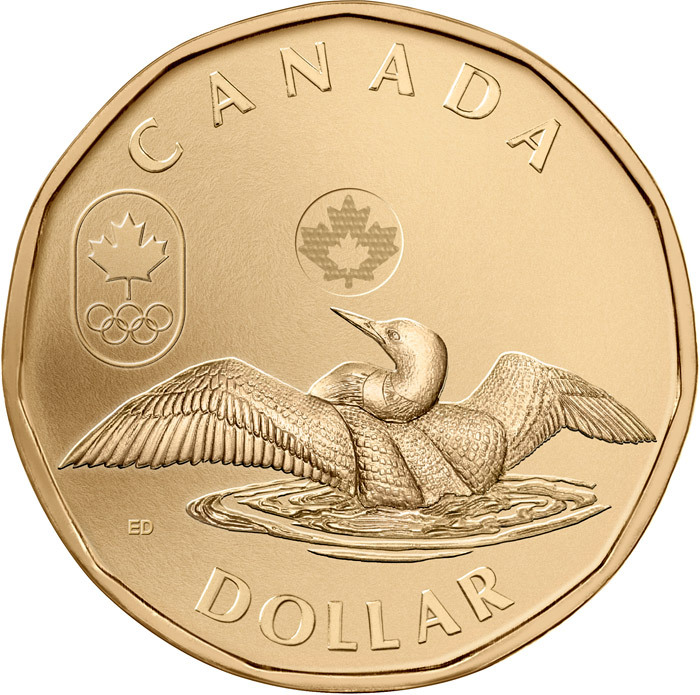 The loonie has been in a nosedive since the end of 2014 kicked in – and now it is around 80 cents for every US Dollar. It will cost you $1.263 Canadian for $1 American on today’s market, and it If it looks to go down much more. This economic factor could significantly derail any effort the city of Montreal has to ever regain an MLB franchise. The Canadian Dollar is in a free-fall against the American greenback. I woke up this morning to see that to buy a US $1, it now cost $1.263 Canadian dollars. Effectively that means any club in Canada is at 26.3% Luxury Tax before the season even starts, because the team pays out player salaries in USD, while the money brought in is Canadian currency. So often people forget that the Montreal Expos problems became occurring not only as the 1994 Player Strike/1995 Lockout fanbase was angry at the MLB, with some of them never to return, but also a sagging loony. At its worst price, was a 0.62 cent buck vs the USA back in the mid-90’s. With the oil prices being what they are, this has serious ramifications for any impending groups of people wishing to bring back baseball to Montreal, Quebec, Canada. The Expos left after the 2004 season, and in some ways it is a total injustice. Perhaps no other franchise has been affected more by the two biggest work stoppages than the Montreal had been. The 1981 Player strike happened when Montreal was filling Olympic Stadium to the tune of 2 Million Fans per year, and the young nucleus of players such as Andre Dawson, Tim Raines, Gary Carter, Tim Wallach and Warren Cromartie were leading the charge to an uprising NL squad. Of course everyone remembers “Blue Monday’s” HR to knock the Expos out of the 1981 playoff chase. The 1979 – 1994 teams carried out 12 out of 15 winning seasons, and possessed one of the greatest semblance of a drafting organization ever. Olympic Stadium was a building catastrophe from the get go. 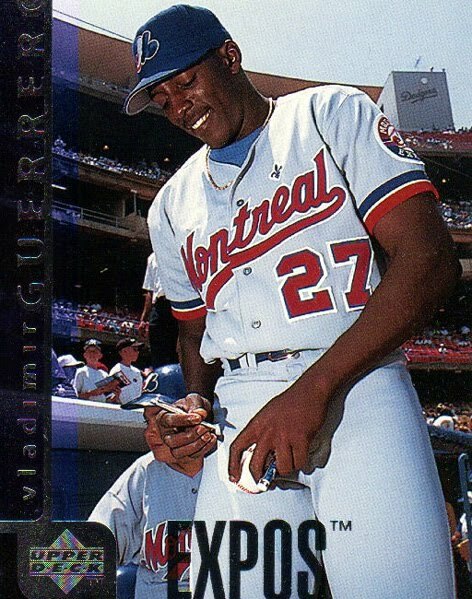 It was a contributing factor of the Expos leaving Montreal. Having said that, it was not the only reason that the Expos would eventually head south to Washington. The Player strikes in 1981 and 1994 came when the club was at its peak talent for the franchise at both points, curtailing any momentous efforts in attendance by having long work stoppages. The former Canadian club missed the economic boom of having a dollar at or near par for the last several years. After the club had a firesale, following the 1994 season (Montreal had the best record in the MLB that year). the team lost out on several second half home dates, where the attendance would have piled up in droves, creating enough revenue for the brass to re-sign players. Instead, they lost Larry Walker, Moises Alou, Ken Hill and John Wetteland from their team. If followed up remarkable careers that players such as Carter, Dawson and to some extent Raines had following the Canadian city. Dawson would enter the Hall of Fame as a Cubs OF, winning the 1987 NL MVP. Carter was the missing piece to the NY Mets winning the 1986 World Series. A young outfield of Alou, Walker and Marquis Grissom was about as dynamic of players as you could have had. Later in the regime, talents such as Pedro Martinez and Vladimir Guerrero would have to be traded/or be left to sign with other organizations. Some of these problems existed because of the attendance at the ballpark, and the ownership lack of foresight to build a downtown stadium, capable of bringing in luxury suites, and allure of a city park that could be accessed by public transit. Always lost in the shuffle seems to be the economic dollar market that was against the American clubs. I know there are lots of people wishing to have a 2nd baseball team back in Canada, however without any equalization program set forth by the MLB, this will never happen. The Montreal Expos out forth 12 winning seasons out of 15 from 1979 – 1994 before the economics of the game decimated the organization – to the point they weren’t viable in Canada anymore. Montreal was forced to move to Washington. A lot of the problems with the club originated from a failed downtown stadium project (along with a brutal scandal behind the OIympic Stadium), but a huge reason was also the team taking in Canadian revenue – while paying out in US funds. If MLB adapted and equalization program to where it would compensate for something like the NHL had before, then maybe Montreal would work back in the Majors. It will never happen though. There are tons of other roadblocks that would prevent Montreal receiving another shot at baseball franchise in the Major Leagues. They still don’t have a viable stadium to play in. Nobody knows for certain if they could draw the amount of people needed to sustain a professional team either. The Montreal Canadians are still the “New York Yankees” of hockey, and any other sport will always be second best in the market place. I am speaking as a lifelong fan of the Montreal Expos, now the Washington Nationals. You simply can’t ignore the aspects of business presented before you. Even if a group of investors were able to clear those hurdles, and put up with a dollar (that may plunge as low as 75 cents this year), there is still the matter of a TV contract and hard to negotiate radio deals. It is a problem in Montreal since you have to provide both for the English and French-speaking communities. Upon leaving, the club had the worst deals for both forms of broadcasting. There is also the case of not receiving ample coverage, as the Toronto Blue Jays are owned by Rogers Communications, who also are in control of 2 of 3 sports networks in Canada, and would be in direct competition in the prime time Eastern game times. With having only 1 sports network to bid with, the likelihood of landing great TV deal would be hard. The falling dollar also will have serious ramifications on the Blue Jays, who are set to have a team salary at or near $125 MIL. Hopefully, the organization had the foresight to buy a bunch of US Dollars over the last calendar year when the rate was more favorable. 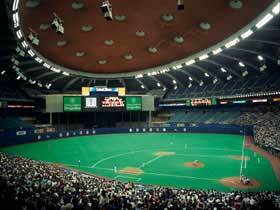 Montreal was a longshot for the MLB ever to come back in the 1st place. Add another detractor like a brutal dollar vs the USA buck, and it may be the final deciding factor in the door being shut. Financial forecasters all claim this trend will continue for the upcoming future – with no end in sight to the oil industry crisis. The only good part to come out of this fact is the Americans coming to the Rogers Center should increase with the park hosting a combined 19 games against the Yankees and Red Sox every year. With decent ticket prices – as opposed to their own stadiums, a lot of citizens of the USA can take a family of four and pay for the whole vacation for a weekend, whereas staying at home they would barely be able to afford doing much more than attending the games. I know as a person who is going to 220+ games in the USA this year, this recent trade of Canadian commerce is killing some of my plans. I was lucky to have secured a lot of the spending money I will use months ago, when I purchased a lot of cash when the dollar was almost at par, but there are so many incidentals left on expenses, that may cause me to alter how I can go about this odyssey. The more this situation continues, the more I am sure that I will be cutting back in attending more road games in future years of the MLB. There are many fans in Canada that love to head south for games in States. If you take the population of Montreal, Toronto and Vancouver all into consideration, then that is 70% of the nation’s population all within a day’s drive to a neighboring US city for a baseball event. Seattle is 110 Miles from the Canadian Border. Detroit is just miles from the border to Canada, and 230 Miles away from Toronto. You can also do a day trip to Cleveland from the “Big Smoke”, along with both Chicago’s clubs, Milwaukee, Cincinnati, Pittsburgh, Philadelphia, both New York clubs and Boston are also all attainable with a long day of driving. I feel bad for the fans of Montreal. They had a nicely run front office, and spread immense talent throughout the MLB for their last 25 years of existence. Quite often they had the most former draft picks playing currently for other teams until they relocated to D.C.
Vlad put up more impressive numbers in the NL, while Martinez had one of the best stretches in baseball pitching history during his tenure with the Boston Red Sox. It is another reminder of how tough this sport is as a business sometimes. Vladdy was an Expo from 1996-2003 and will be elected into the Hall of Fame as An Expo to join Andre Dawson and Gary Carter one day. Posted on January 22, 2015, in MLB Payroll and Contracts, The Rest: Everything Baseball and tagged 1981 NLCS, 1994 player strike, andre dawsom, bud selig, business of Canadian MLB baseball, Canadian Dollar, canadian mlb expansion, claude brochu, comerica park, expansion, jeffrey loria, john wetteland, ken hill, Larry Walker, marquis grissom, moises alou, montreal, montreal expos, olympic stadium, pedro martinez, rick monday, rogers center, rogers sportsnet, the score, tim raines, Tim Wallach, toronto, tsn, vancouver, vladimir guerrero, warren cromartie, washington nationals. Bookmark the permalink. Leave a comment.